IntegraGen is exploring the clinical utility of measuring the expression of microRNAs in patients with advanced lung cancer in order to allow for a more personalize approach to cancer care. 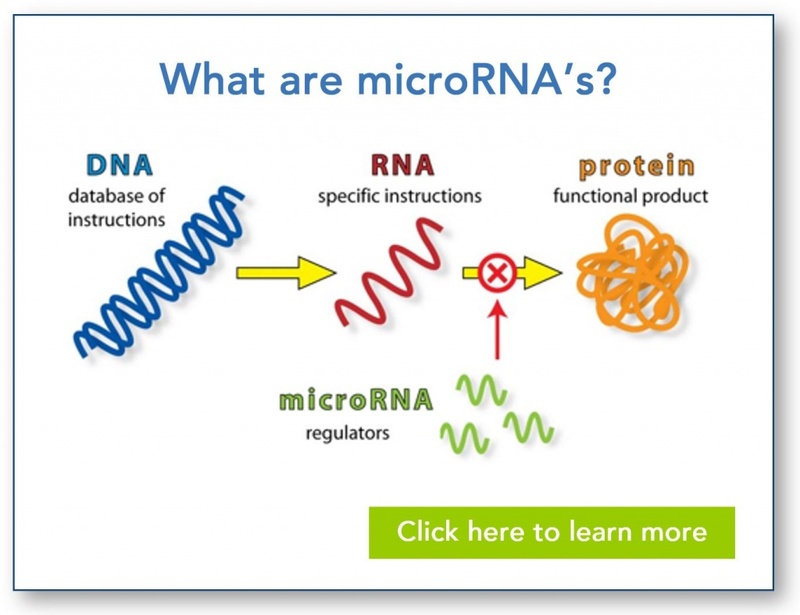 Why explore the role of microRNAs in lung cancer? 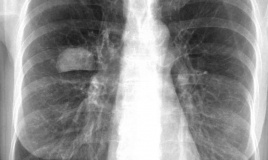 Approximately 1.8 million patients are diagnosed with lung cancer on an annual basis. Lung cancer is the leading cause of cancer-related mortality resulting in nearly one in five cancer-related deaths. As a result of previous studies IntegraGen has conducted which have demonstrated that the miRNA miR-31-3p predicts response to anti-EGFR (epidermal growth factor receptor) in patients with metastatic colorectal cancer (link), we are exploring the potential role this and other miRNAs may have in predicting outcomes in patients with lung cancer. 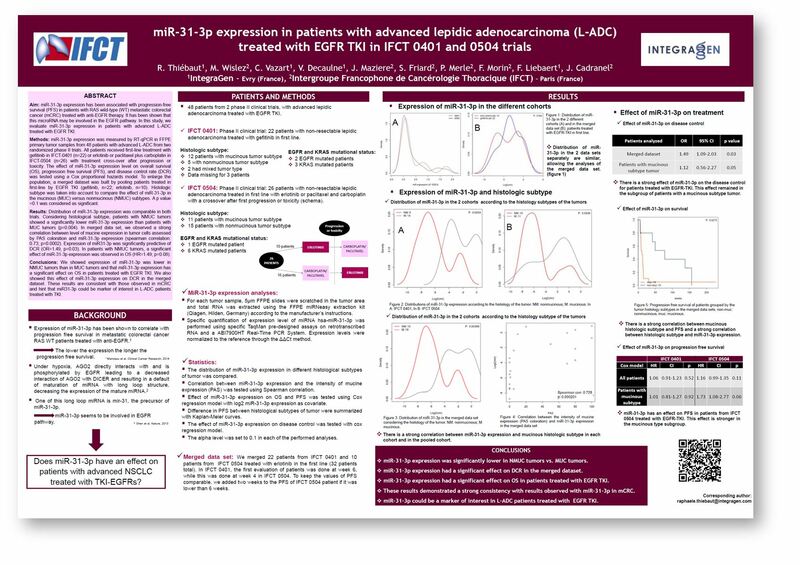 Since the EGFR pathway has also been shown to be involved with lung cancer, IntegraGen has recently studied the expression level of miR-31-3p from tumors of patients with advanced lung cancer to determine the association of these expression levels with EGFR tyrosine kinase inhibitors (TKI) effect, a class of compounds which is utilized clinically as a targeted therapy for lung cancer which selectively target molecular pathways involved in the development of cancerous tumors of the lung. Correlates with the histological type of the lung tumor, with a higher expression of the biomarker in mucinous type lung cancers. Allows to identify patients with a shorter progression-free survival. Is associated with survival and disease control rate. The results of this study provide initial evidence that patients with low expression levels of miR-31-3p may preferentially benefit from EGFR TKI therapy, especially patients with non-mucinous type adenocarcinoma of the lung. Similar to previous studies in colorectal cancer, miR-31-3p appears to be a biomarker which may aid clinicians in personalizing the care of lung cancer patients while also helping to avoid the use of ineffective drug therapies and their associated side effects and costs.